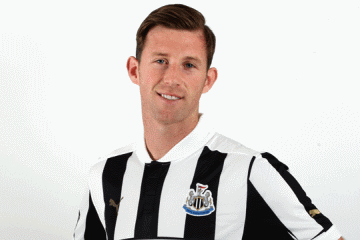 Mike Williamson | NUFC Blog. Archive for tag: Mike Williamson. ‘Iron’ Mike: A defensive colossus? 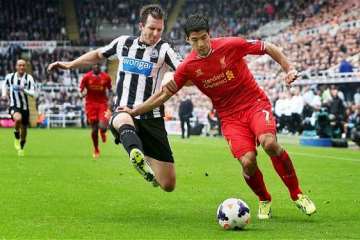 Despite the heroics of Tim Krul on Saturday, as well as those of other more ‘glamorous’ Newcastle United players such as Loic Remy, Yohan Cabaye etc throughout the season, if we look at the results both before and after he came into the team, it could be argued that Newcastle United’s most important player this season so far has been Mike Williamson. After a couple of outings in the League Cup against Morecambe and Leeds, ‘Iron’ Mike was finally introduced to the club’s Premier League campaign as a half time substitute (for Mapou Yanga-Mbiwa) against Everton. This was after another disastrous first half display by the Magpie defence against Everton, with the club already 3-0 down. That was 5 1/2 games into the season and as Newcastle United have now played 11, with Williamson on the pitch for exactly the same time as he has been off it in Premier League games, I thought it would be a good time to look at the staistics for Newcastle United with and without Williamson. 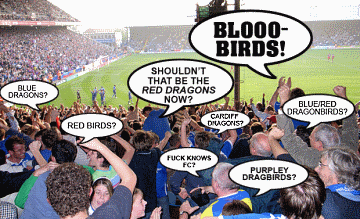 Confused Cardiff fans (thanks to Mike at Urban75.com). Date: Sat 5th Oct, 2013. 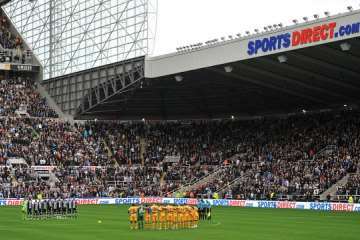 No matter what Alan Pardew or the club say, the sharks have started to circle around Alan Pardew now, and if the Magpies lose this one we could well be be seeing a Sky Sports sacking special live from St James’ Park before long. If he wins, it will be a case of Pardew on probation, but the club will then face a nightmare series of games against four of the Premier League’s top clubs, ie Liverpool, Sunderland (ok, maybe not them! ), Man City, Chelsea and Tottenham. Poor Pardew, it might be a good idea for him to have Noda Cabs on speed dial? Mike Williamson: You're simply the best! He is according to football stats site “whoscored.com” anyway, where he is Newcastle United’s only representative in their Premiership team of the season so far. In this he joins players such as Robin van Persie, Juan Mata, Gareth Bale and other top players, just nudging out Tottenham’s Jan Vertonghen as best centre back, and tying with Everton’s Leighton Baines as best defender in the league full stop, with an overall rating of 7.6 out of 10.